VTV.vn - A patient with a brain tumor has successfully undergone surgery while conscious at Việt - Đức Hospital. 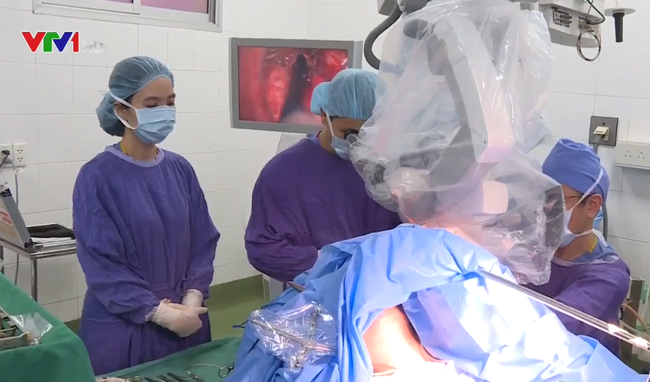 This was the first time this type of brain surgery has been carried out in Vietnam. The operation took 7 hours and received the support of Japanese experts. This surgical method incorporates surgical doctors and anesthesiologists, using modern equipment to prevent damage to neurons related to speech and language processing. This method also requires the cooperation of the patient during surgery. Before the operation, doctors provided the patient with a detailed explanation of the procedure in order to carry out the surgery successfully.